6 months on from winning the Export Action Plan Competition, we talk to First Chop Brewing Arm. 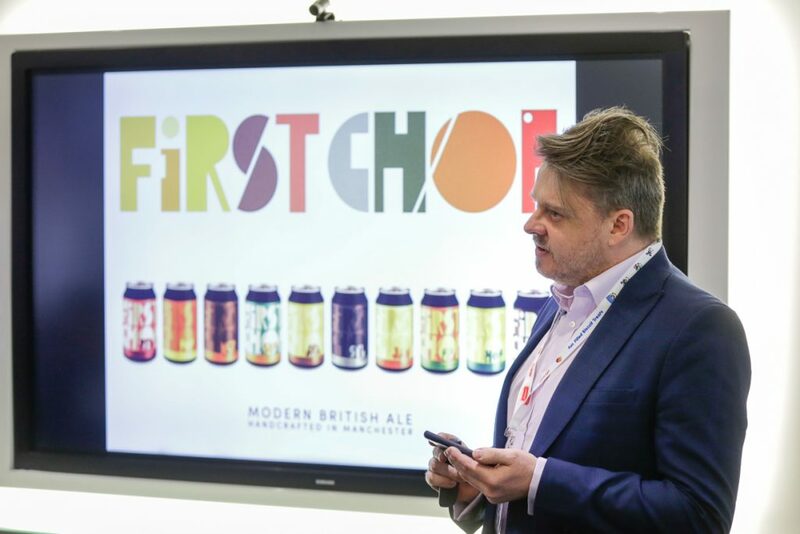 At a fabulous showcase final for the food and drink sectors at IFE 2017 in London, the gluten-free craft ale makers pitched their business to our panel of judges, with MD Rik Garner telling us “you can fill a container and the beer can go anywhere in the world”. They were awarded with the winner’s prize by Andrea Leadsom MP and Mark Garnier MP at a glamorous reception for the Food is GREAT campaign at the Foreign Commonwealth Office. What’s the latest with First Chop Brewing Arm? We are visiting China and Slovenia next month and are still plugging away at Mexico – I’m planning to go back early next year, following any lead that we can. We have had a busy time getting back on our feet after our fire/relocation but we’re pretty much there now and are pushing ahead with our export plans. We’re still developing our long term relationship with our Italian distributor and planning to launch a table beer aimed specifically at the Italian Market at a trade show in Rimini in November. How did completing the plan help at the time? Completing the plan helped to focus our efforts and helped me to plan for the period after our relocation. The plan is only really starting to kick in now we have that behind us. How did winning the Export Action Plan competition help First Chop? The cash injection was great and just what we needed at the time. It helped with translating our website and we still haven’t used the translation voucher from SDL – I will use this to translate the brochure for the Italian launch though. I think we will see more benefits over the next 6 months as we are now back up to our full production levels. The aim is to push on and try to export as much as possible. Hopefully the trips to Slovenia and China will prove fruitful. You can enter the next Export Action Plan competition now with your strategy for Brexit.